Featuring the label-locking system in the lip and good quality plastic, the 100mm Slimline Pots are made in Australia for our harsh conditions. They are UV treated and have a nice glossy finish. 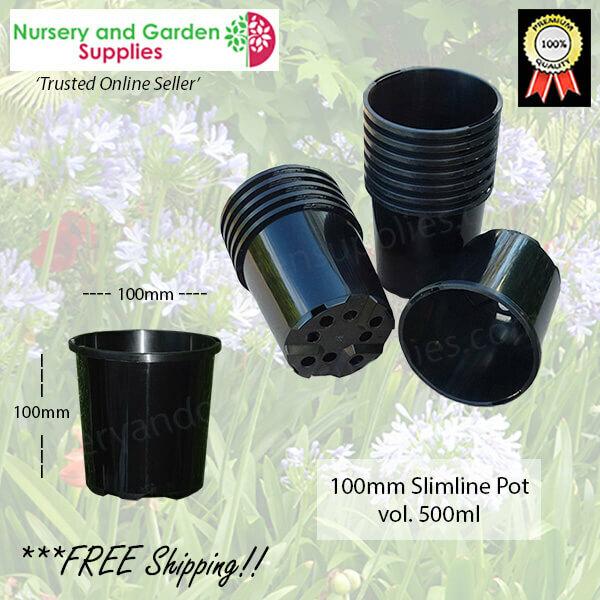 The ideal way to grow your plants in these great looking Plastic Grow Pots. They have Lots of bottom drainage and feature the Euro style base with a raised cross for good air-flow past the roots. Plant your Palms, Shrubs, Rockery or other Garden Plants in these pots used by wholesale and retail plant nurseries all over the country.